We hosted several sessions over the weekend and we had a blast watching families take on a challenge together. 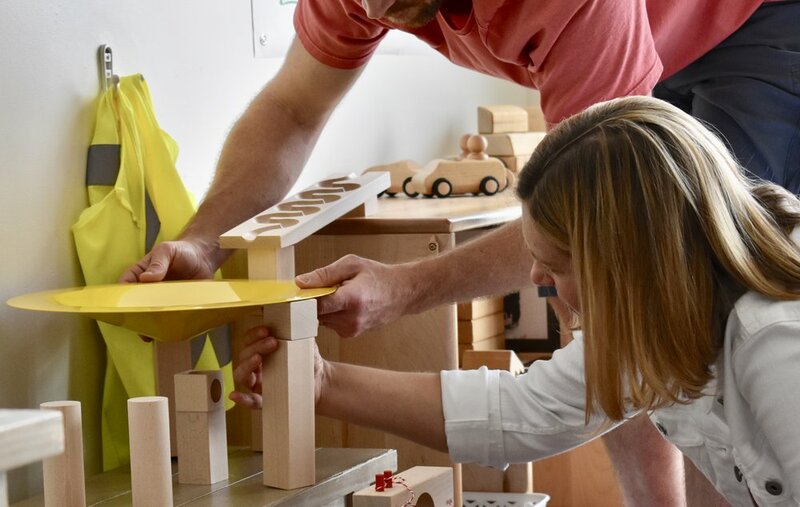 If you are looking for a fun activity where you can engage with your child, this could be a good one for you! This event is for kiddos ages 4+. 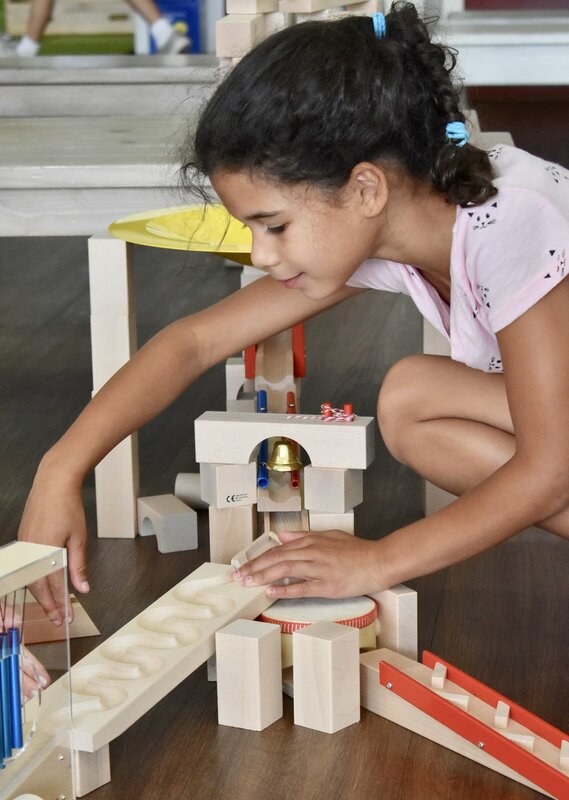 As you enter the marble run construction zone, you will see tons of wooden blocks and accessories including: tilting buckets, bells, musical ramps, sound staircases and whirlwinds. Some kiddos enjoyed exploring individual pieces and seeing how each one worked, while others experimented putting multiple pieces together. This is a great problem solving activity because you find out almost instantly as to whether your design worked or needs modification. It was this sweet girl's first time to Play Street Museum, so she spent some of her time checking out and pretending in the play area! We are so happy she had fun exploring everything Play Street Museum has to offer! 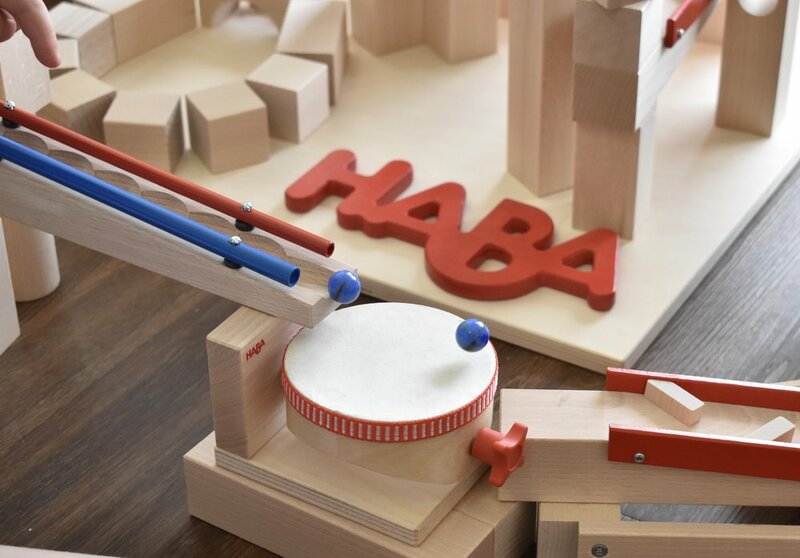 There's a lot to choose from when selecting pieces for your marble run...this drum is pretty cool...but definitely adds another level of difficulty...love that someone was able to incorporate it and make it work! 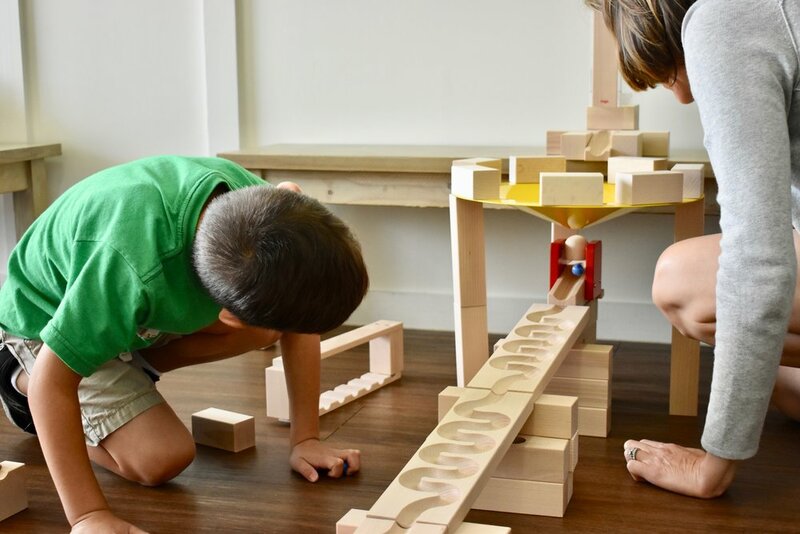 This little one had a lot of fun helping his family with their amazing marble run...but he also enjoyed this piece...it can be used on it's own to create a mini marble run or can be incorporated into a larger run! This guy worked hard and we loved watching him make modifications to his design until it worked. He attended our Marble Madness event with his mom and they made a great team! She was very supportive and offered the perfect amount of assistance and encouragement! We aren't sure who had more fun...the parents or the kiddos...but we are pretty sure everyone left feeling a little smarter!